The Old-Fashioned Sugar Cookies from Mary Engelbreit's Cookies Cookbook is one of my all-time favorite cookie recipes. I've had the recipe for years. This year, it finally dawned on me that I should probably try to find the cookbook; surely more great treats would await me. And I wasn't disappointed. 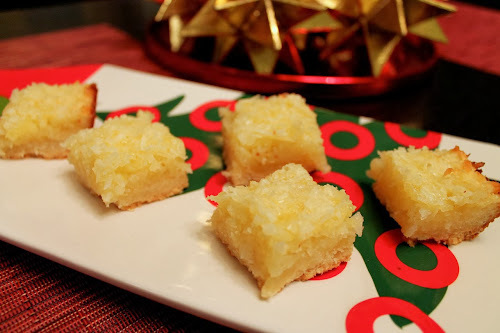 These coconut-lemon bars were among the several sweet treats I wanted to make from the book. Like the sugar cookies, this recipe also uses powdered sugar in the dough, which contributes to its fine texture. Bar cookie recipes can seem a bit daunting sometimes, especially if they require multiple steps, but this one actually comes together rather quickly, since you make the coconut-lemon layer while the buttery crust bakes, and you don't have to wait for it to cool down to pour the coconut mixture on top. I love the flavor combination of the lemon and the coconut. I think there might be a cocktail opportunity in there somewhere. Something to think about for another day. 2. Grease a 9 X 13 inch baking pan with butter. Line the pan with aluminum foil, allowing it to overhang the short sides of the pan a bit. Grease the foil with butter. 3. 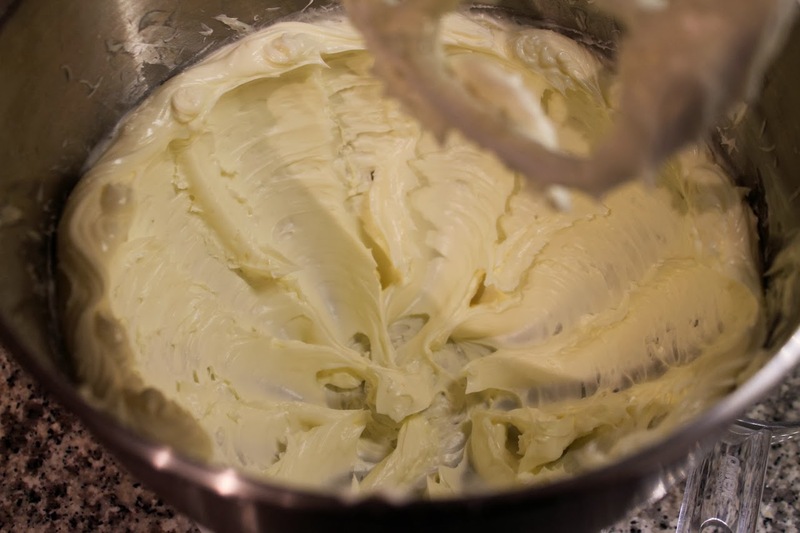 In a stand mixer (or large bowl with a hand mixer), beat the butter for 3 to 5 minutes until pale yellow and fluffy. Add the confectioners' sugar and salt and beat on medium-high speed until light and fluffy. On low speed, gradually add the flour. Use a wooden spoon to scrape down the sides and stir until the dough is just combined. Press the mixture evenly into the bottom of the greased baking dish. Bake for 14-18 minutes until golden around the edges. 4. While the crust bakes, in the bowl of a stand mixer (or large bowl with hand mixer), beat the eggs until frothy, then beat in the granulated sugar, then the flour and baking powder, and then the lemon zest and juice. Add the coconut and stir with a spoon until thoroughly mixed, breaking up any coconut clumps, if needed. 5. 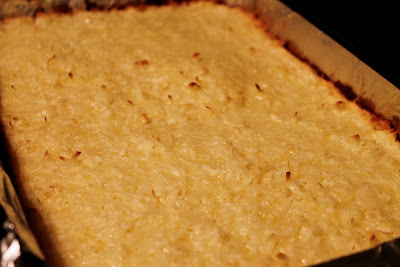 When the crust comes out of the oven, spread the coconut topping evenly on top of it. Bake for another 25-35 minutes, until the edges are golden and the coconut is lightly browned in a few spots (the original recipe says to bake for 25-28 minutes, but I found it needed longer). Set the pan on a wire rack to cool, the refrigerate the bars for an hour to chill. 6. 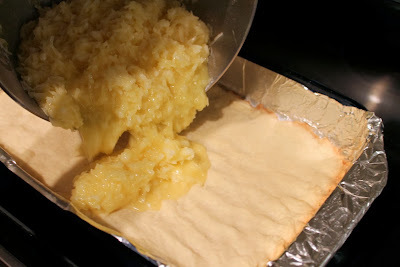 Run a thin knife around the edge of the pan, then remove the foil and the pastry. Carefully pull the foil off the baked pastry. Cut the pastry into squares of a desired size. Store covered in the refrigerator. A lemon and coconut cocktail? Start thinking now!